Just add Clamato® Juice and your favorite Vodka. 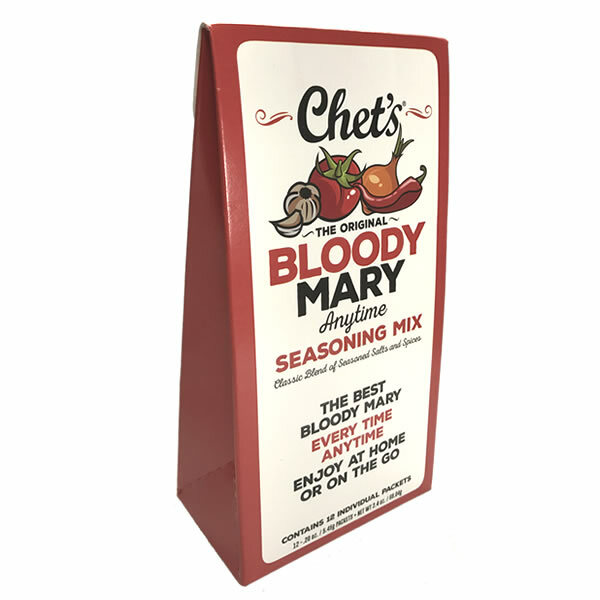 Individual Serving Packets with a Classic Blend of Seasoned Salts and Spices. SKU: 863042000403 Category: Chet's Anytime Inc.
Chet’s Caesar / Bloody Mary Seasoning Packets are individual single servings and are perfect to enjoy at home or on the go. 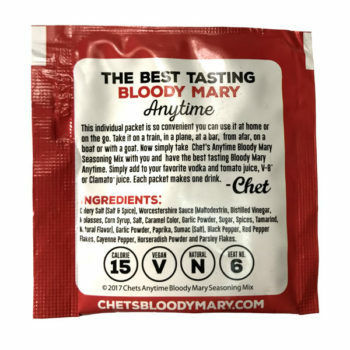 Looking to make 1 Caesar cocktail? Great, we have the solution. We have done all the work for you by combining just the right amounts of savory and flavorful spices. Simply add 1 packet to Clamato® Juice and your favorite Vodka. 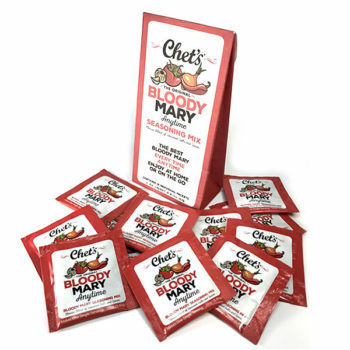 Chet’s Caesar / Bloody Mary Seasoning Packets contain No MSG, Gluten-Free, Vegan, Non-Perishable, No Chemicals – Tastes Awesome! 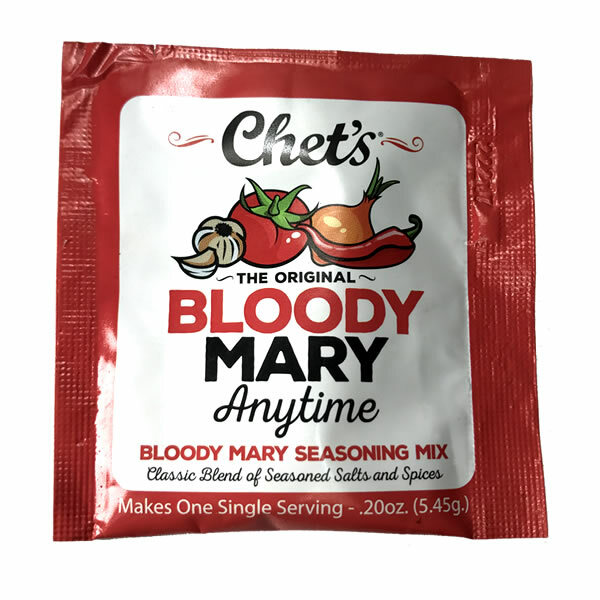 Ingredients include: Celery Salt, Worcestershire Powder, Garlic Powder, Paprika, Sumac, Black Pepper, Red Pepper Flakes, Cayenne Pepper, Horseradish Powder and Parsley Flakes. Simple, consistent, convenient and easy to use. Just the right amounts of spices are blended perfectly to bring out a Caesar seasoning mix bursting with flavor. Use what you need, when you need it. No waste. No Mess. Looking for a simple solution when you are traveling? Or perhaps you are going out with friends on a boat. 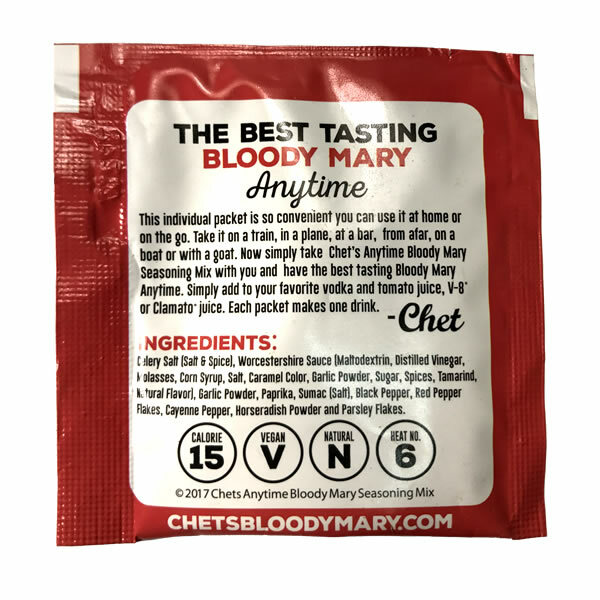 These individual packets are a great addition and can easily become your go to travel-size Caesar. 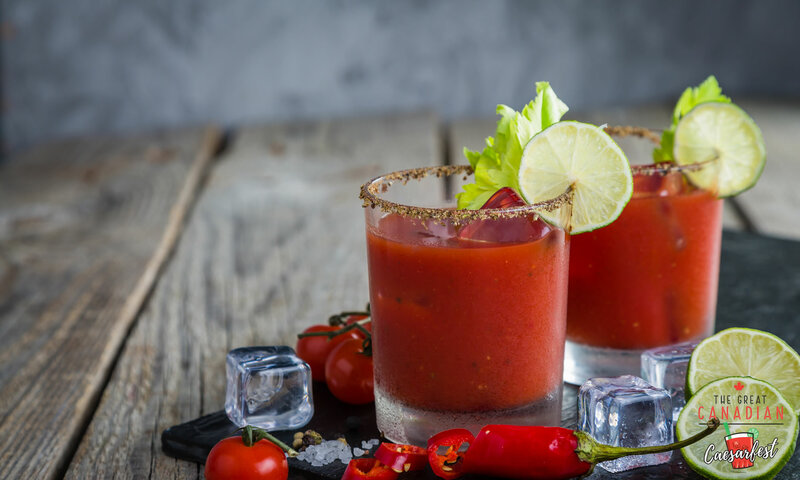 Now you have the simplicity of making a Caesar by adding our mix to your Clamato® Juice. Click here to watch our boat video on using our individual serving packets.